Portland is a city that takes its brewing seriously. We’ve got a lot of beer and a lot of coffee. Sometimes we have too much of one and need more of the other. But today we’re just talking java. There are a whole lot of places to get your caffeine fix here, so it can be hard to choose. That’s why we’re going to give you a little cheat sheet for the best coffee shops in Portland. Ristretto Roasters offers great espresso and coffee from around the globe. You can get the full bean experience at their Beaumont Cafe on NE 42nd - that’s where you can observe the hand-roasting process for yourself. They also have a larger cafe on North Williams Avenue. Of course we can’t talk about coffee with mentioning Water Avenue Coffee Company. Frequented by Plywerkers, we love the coffee, the people, and the coffee. (We drink a lot of coffee.) In short, Water Avenue Coffee is the wind beneath our collective wings. Stumptown Coffee might exist in other cities now, (YOU’RE WELCOME, LOS ANGELES) but it all started here in Portland back in 1999. They can take a lot of credit for revolutionizing the way coffee companies source beans and for transforming Portland into one of the top coffee cities in the country. Heart Roasters is one of Portland’s top destinations for espresso lovers. With locations on both the Eastside and the Westside, Heart is uniting our city with quality beans and tiny little cups of liquid magic. Barista, started by award-winning barista Billy Wilson, is some of the finest coffee in the city. With three locations, you never have to look too far to find one. Their motto is "serving exceptional coffees from the world's finest roasters, prepared by most skilled baristas". We won't argue. Billy Wilson, from Barista, drinks a cup of java from his fine establishment. Photo credit: Kim Nguyen. World Cup Coffee has been sourcing and small batch roasting great coffee since 1999. All of their roasting is done at their cafe on Glisan and 18th, but they also have a location right inside the famous Powell's City of Books. So if you’re visiting, you can check them both out in one stop and kill two PDX birds with one stone. Check out PhotosbyKim's gorgeous images of coffee drinks on Plywerk and get your very own! This entry was posted in Portland Travel Guide and tagged Portland coffee, Portland Local Businesses on February 28, 2014 by admin. If you think of Plywerk as a Mom and Pop Business, then consider Kim Nguyen "mom". Once upon a time, Kim was just a photographer with a photo that needed mounting. Necessity is the mother of invention, so she retreated to the basement. With the help of some wood glue and a scrap piece of plywood, she had solved her problem and started a business. Portland Esplanade by Kim Nguyen is one of her most popular shots! It looked good. It looked better than good. So Kim and her husband Kjell (Pop) started putting more photos on plywood and selling them at markets and art walks around town. Other people liked it too. More artists got involved. Plywerk grew up and out of that basement. And that’s how Plywerk was born. There’s your origin story. Now, in addition to creating custom prints for our customers, we also sell some of Kim’s art. The Plywerk retail shop has a lot of great prints featuring Kim’s photography. If you’re in Portland, you can feel free to stop by and check them out with your very own eyeballs. A bicycle in Holland is available on Kim's Etsy page. If you’re not in Portland, or if you just don’t feel like leaving your house in the near future, you can check out Kim’s Nguyen's photography on Etsy. That’s the best way to see a more extensive collection of her work. An award-winning photojournalist, Kim’s style is fresh and a little bit quirky. But you’ll see. And, it probably goes without saying, but I’ll say it anyway - her photos are printed on Plywerk. The iconic Oregon coast shot by Kim looks great on our bamboo panels! And another note for Portlanders: If you find something that you like in Kim’s Etsy shop, (and you probably will), you can arrange to pick it up yourself. Just message Kim and she can create a custom listing so that you don’t have to go getting the postal service involved. Or pay shipping. This entry was posted in Photography and tagged photography, Photos by Kim, Portland photographer, Prints on bamboo, prints on wood, travel photography on February 27, 2014 by admin. Reason number one is pretty obvious. If you order a Print on Plywerk today, that means that you will soon be the proud owner of a Print on Plywerk. Funny how that works, isn’t it? All you have to do is place an order, share it on FB and you'll be entered to win! It's that easy-peasy. So if you don’t have any Prints on Plywerk, first of all, we’re so sorry. But this is your chance to win the Plywerk lottery! Think how Plywerk rich you might soon be! And if you do have some Plywerk gracing your walls already, it’s time to add to your collection. We don’t want to pressure you, but it’s for your own good. So stop with all your mulling it over and just order a print. And then, when you win the giveaway, you can order another print without even paying for it! (And for the record, if you were paying for it, it would be in the neighborhood of $157.) Order your print today and start feeling lucky. This entry was posted in Contests and tagged photo mounting, Plywerk giveaway, Prints on bamboo, prints on wood on February 26, 2014 by admin. There are a lot of resourceful folks in the city of Portland. Maybe it’s because we’re so darn eco-conscious. We love making things out of other things. We’re all about the reusing and recycling here. Which, if you think about it, is exactly what a thrift store does. Thrift shopping means a lower cost for you and less waste for everyone. So, it’s not too surprising that Portland is a great place for thrift and vintage shopping. Our unique city is full of fun vintage and thrift stores. If you’re wandering around the Southeast, make sure to drop in at the Goodwill Boutique on Hawthorne. We’ve all been to our share of Goodwills, but have you ever had the chance to visit a Goodwill Boutique? The good people of Goodwill sift through their stock, pull out the best items, and promote them to “boutique” status. It’s a great place to find housewares and vintage fashion without doing all the rummaging. North Portland’s Red Fox Vintage is a fine resale store with a good selection of art, furniture, clothing, jewelry, kitchen stuff, and the always popular oddities. Because even if you’re set on home goods and fashion, there’s always room for a few oddities. Little Edie’s Five and Dime is a small shop in North Portland with plenty of quality merchandise. You can trust Little Edie’s to find the best of the best in consignment and then you reap the rewards. Check it out and bask in the unique vintage goods and reasonable prices. You'll surely find some unusual items in Portland's second-hand stores. Next time you’re in the Northeast, stop by Rerun, a neighborhood resale store. It’s like a community yard sale if all of your neighbors had cool stuff. Clothing, books, furniture, treasures big and small. You’ll find it all at Rerun. So get thrifting and save. Save money. Save the environment. Everyone wins when you hit the thrift stores. This entry was posted in Beyond Plywerk, Eco-Conscious, Portland Travel Guide and tagged eco-conscious, eco-friendly, Portland Local Businesses, thrift shopping, vintage on February 24, 2014 by admin. The internet is a pretty remarkable thing. It answers questions. It entertains. It keeps you informed about the world and your entire high school graduating class. And of course, it allows you to buy pretty much anything you can imagine with the click of a button. (This is not necessarily a good thing if you stay up late and have poor impulse control.) So yes, the internet is a magical place, but it sure is nice to exist in the physical world every once in a while. Plywerk Minis with Images by Plywerk Co-Founder, Kim Nguyen. You can see the real world of Plywerk when you pay a visit to our real live retail shop in Portland, Oregon. The Plywerk retail shop is located at the Plywerk Headquarters. So it’s also a chance to see for yourself where all magic happens. 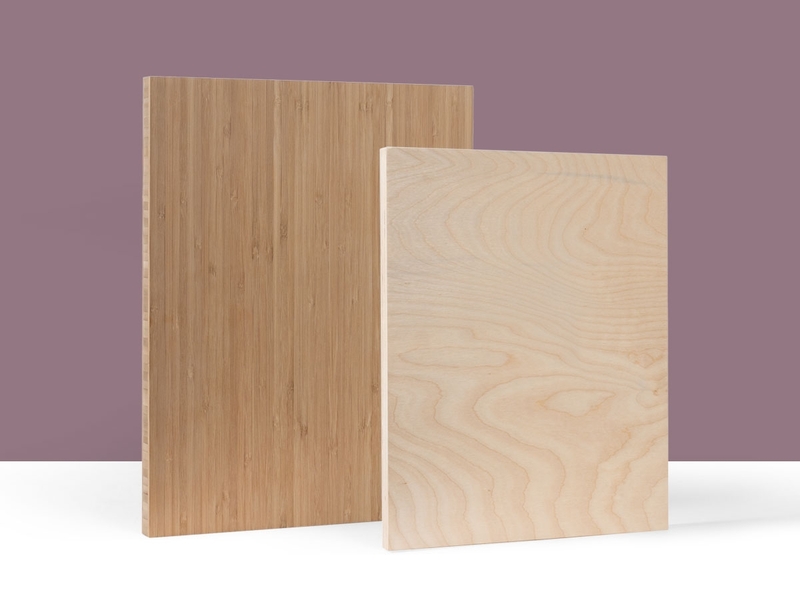 Eco-friendly wood panel magic, that is. We've got heaps of Plywerk product for sale in our retail store! You’ll discover a world of wonders at our shop. It’s Plywerk as far as the eye can see. Well, sort of. It’s also our office. So depending on how far your eyes can see, you might also see desks, and computers, and people doing their jobs. But in addition to that, you’ll also see lots of Plywerk for sale. 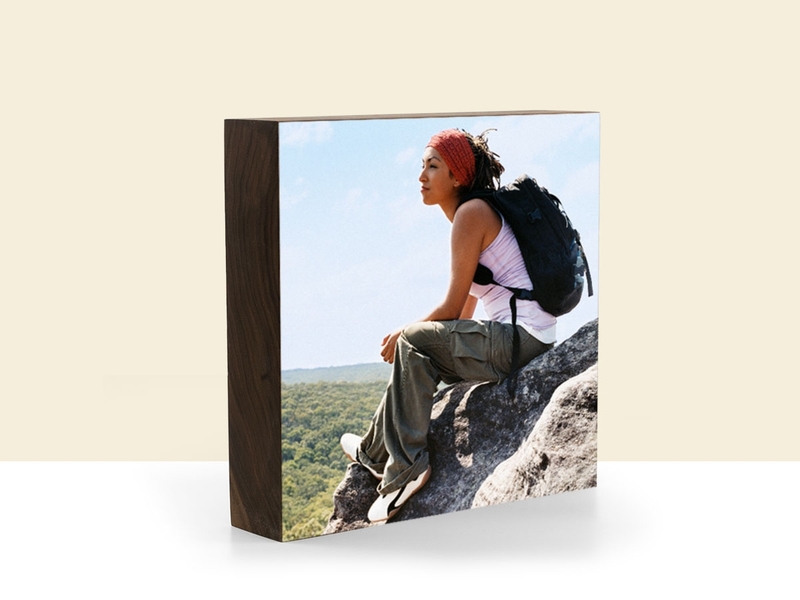 You’ll find Maggie, our magnetic ball bearing picture frame. 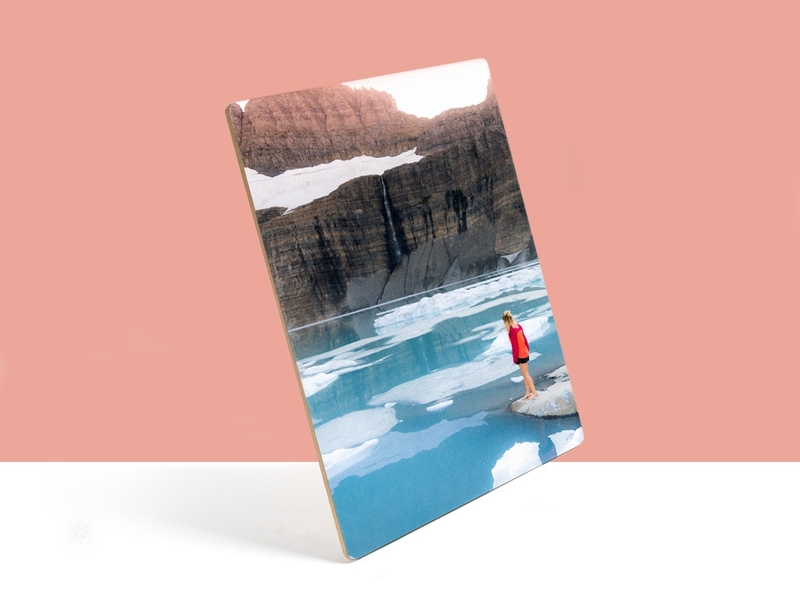 We also have a variety of Plywerk Mini's (formerly known as stocking stuffers), and already made Prints on Plywerk featuring photos by Kim Nguyen (Plywerk co-founder). Plywerk employees in their natural habitat. Plywerk is open from 9 am to 5 pm Monday through Thursday and from 9 am to 12 pm on Fridays. This entry was posted in Photo Panels, Photography and tagged artisanal manufacturing, bamboo wall art, eco-friendly picture frame, Portland Local Businesses, prints on wood on February 21, 2014 by admin. We recently set a record here at Plywerk. Any guesses? And no, it wasn’t for “most tosses of a pancake in one minute.” But that’s a pretty good guess. Our record is more related to photo mounting. Which makes sense, because that’s a thing we do around here. Recently, one of our favorite people and photographers placed an order for the largest Print on Plywerk that we’ve ever produced! Normally we would laugh someone right out of Portland for even suggesting such a large Print on Plywerk, but we’ve got a soft spot for Ben Moon. The final product turned out beautifully and we’re glad that we could make it happen. What a happy ending! But really, it’s not something we would only do for Ben Moon. If you’re in need of some custom photo mounting, just email us at info@plywerk.com and we can help you get the wheels in motion. 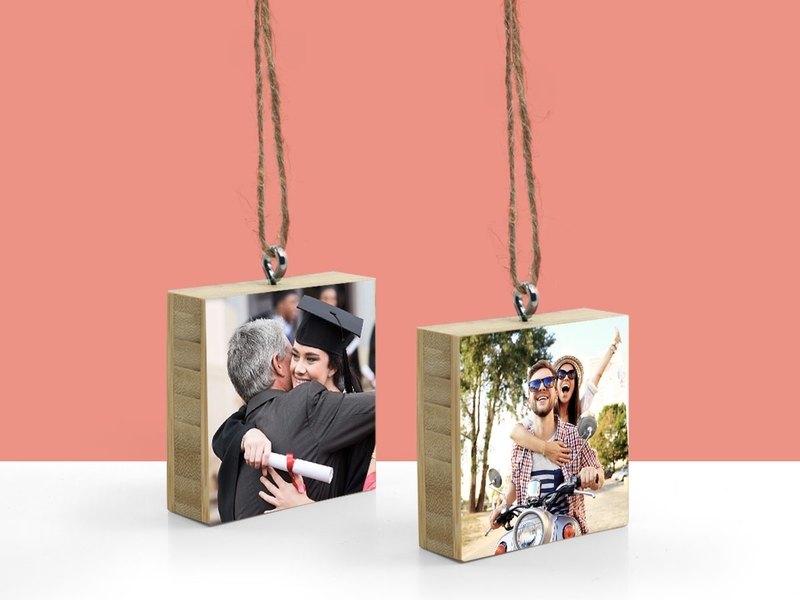 This entry was posted in Handmade in Portland, Photo Mounting, Plywerk In Action and tagged bamboo photo mounting, custom photo mounting, Portland Local Businesses, wood photo mounting on February 20, 2014 by admin. Powell’s City of Books: There aren’t a lot of places where a bookstore is a major tourist attraction, but Portland isn’t most places. Powell’s City of Books is the largest independent bookstore in the world. Taking up an entire city block, it’s a good place for tourists and locals alike to get lost for a few hours. Annie Blooms is another Portland favorite. Located in the charming Multnomah Village, Annie Blooms is a fine place to do a little book browsing. And if you don’t know what you’re looking for, the supremely helpful staff is always full of great suggestions. If you happen to passing through NE Portland and you need a little neighborhood bookstore fix, pay a visit to Broadway Books. They’ll happily hook you up with books new and used. Title Wave Used Bookstore: Title Wave is a bargain-hunting bibliophile’s dream. Specializing in used books that once graced the shelves of the Multnomah County Public Library, you’ll get a lot of bang for your buck here. It’s a lot like a library, but for the cost of your average late fine, you get to keep the books forever! Not bad. A Children’s Place is the store to visit when you want to feel young again. It’s also the place to bring your little ones when you want to make reading magical. It’s big, it’s fun, and there’s even a section just for dinosaurs. Or rather, for books about dinosaurs. For people. This entry was posted in Beyond Plywerk, Portland Travel Guide and tagged Portland bookstores, Portland Local Businesses on February 19, 2014 by admin. We live in a pretty good world. But it’s not always super easy to find that good. Or maybe you’re just not looking hard enough. Fortunately for you, there’s a website that is doing some of the looking for you. This Good World is a new venture that aims to connect people with companies who are doing good. Sounds good to us. Founded by Lisa Kribs-LaPierre and Gavin Thomas, This Good World is a refreshingly upbeat website that makes a point to focus on the positive. It’s a place for good organizations to get together and work together. And for the rest of us to find them. They believe that good breeds more good. And we can always use more good, right? This Good World Co-Founders, Lisa Kribs-LaPierre and Gavin Thomas. What is good? Well, it’s a lot of different things. Social good. Environmental good. Doing good in the community. Being good to employees. Good can be big things and small things. As long as they’re good things. As far as they’re concerned, there’s no need to be specific. They’re not trying to be the judge of what’s good and what isn’t. The goal is simply to make it easier for individuals to support companies that are doing good things and making a positive impact. The site also aims to help businesses connect and spread their messages. Plywerk is happy to be one of these do-gooders (a founding member!). As an eco-conscious company that’s just brimming with good people and good vibes, we’re glad that it’s getting easier to connect with other like-minded folks. And we appreciate that customers who share our core values might be able to find us more easily. So, if you’re feeling down, just remember, there is plenty of good. Just don’t read the internet comments on any news story or Youtube video. Nothing good ever comes from that. This entry was posted in Beyond Plywerk, Eco-Conscious, More Than Just Green and tagged eco-friendly businesses, socially conscious business directory, socially conscious businesses, This Good World on February 18, 2014 by admin. We all collect tasks. But it’s largely unintentional. We mean to address these things, but they pile up so quickly. Books to read. Crafts to do. Worlds to save. But if you’re the sort of person who collects posters and prints to frame, we’re about to change your life. 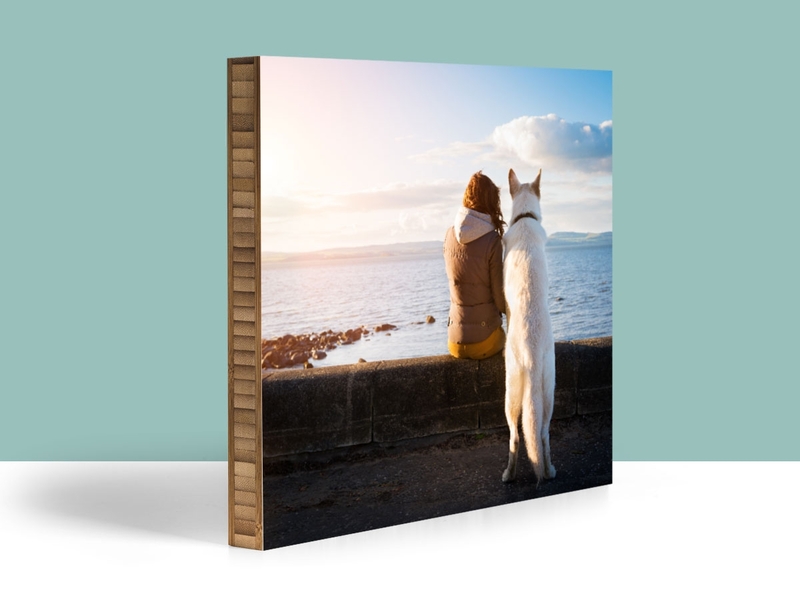 In addition to printing and mounting the digital images that you upload to our site, we also offer the service of mounting your existing prints. We can mount prints, posters, or photographs that you already have such as this print by Le Papier Studio. Of course, it’s up to you to choose a service and a method that you trust. We can’t be held responsible if the print shows up in less than pristine condition. And you never know what might happen when you trust a pony with your art. We will take your print and affix it to some beautiful eco-friendly bamboo or maple and your life will change for the better. When we’re done, it will be a solid wall-ready piece of art. Hurry! Before it gets crinkled. So give us your prints! We’ll get them mounted so you can finally cross ‘frame store’ off your to-do list. And while we’re doing that, you can get to work on all those other things you’ve been putting off. Mending socks and saving the world and whatnot. This entry was posted in Photo Mounting and tagged customer provided print, mounting art prints, print mounting options, wood mounted art on February 17, 2014 by admin. Plywerk is a friendly business. But we're also a bike friendly business. Plywerkers love to bike. And we have plenty of good reasons to do it. First, and it kind of goes without saying, some of us happen to look really great in spandex. But in addition to the fashion benefits, biking is also a fine way to save money on gas and other boring car stuff. Oil change? No thank you. Tune up? No need. Muffler? I don’t even know what that is. Plus, those regular bike commutes help to keep us in good shape. And there’s nothing like a morning commute where you can also enjoy the great outdoors. (Even when it’s raining. Here in Portland, that’s often the case.) But we do love our fresh air. And we’re not the only ones who are benefitting. We’re basically helping to save the world, one trip at a time. Alright, that might be a little dramatic, but we are doing our part to reduce carbon emissions. So it makes up for all those weekend trips on the Plywerk private jet. Wait. That’s not a real thing? Oh. Ok nevermind then. We already like our bikes, but to sweeten the deal, Plywerk provides a $60 bike and shoe credit (the same amount we pay for annual parking passes) to employees who do not drive to work. As of now, our employees have made more than 900 round trips to work by bike. That’s over 5,000 miles! And to break it down in terms of fitness, we’ve burned a collective 237,012 calories just by pedaling. And if you’re wondering what that would be in terms of breakfast pastries, it’s about 1,052 donuts. And if you’re wondering what that would be in terms of tater tots, I don’t know. But it’s probably a whole lot. This entry was posted in Behind the Scenes, Eco-Conscious and tagged bikes, eco-conscious, eco-friendly, Portland Local Businesses on February 15, 2014 by admin.